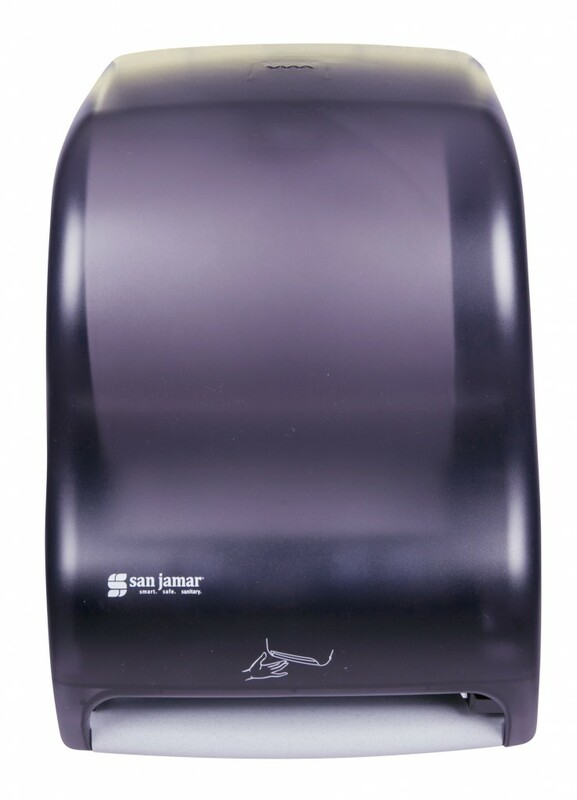 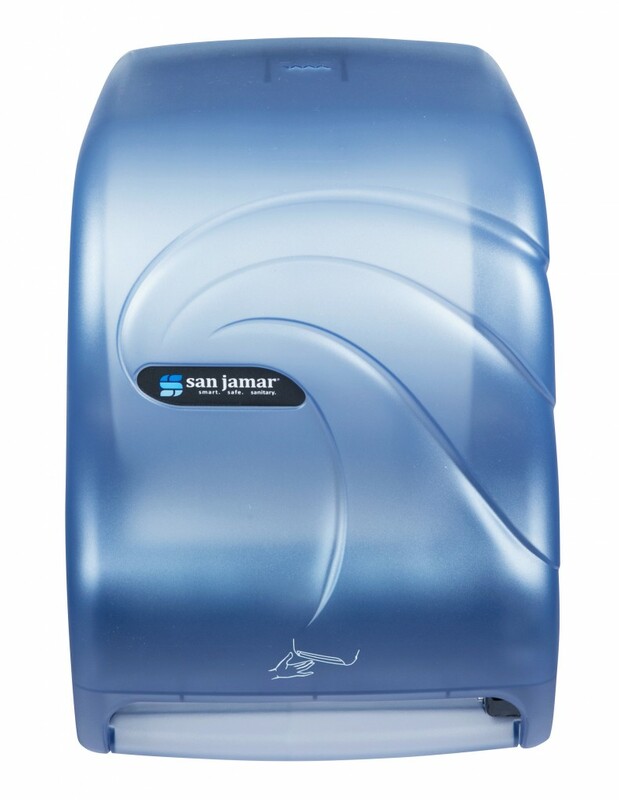 The Smart System with IQ Sensor™ is San Jamar's premium electronic touchless dispenser complete with all the functionality you would expect. 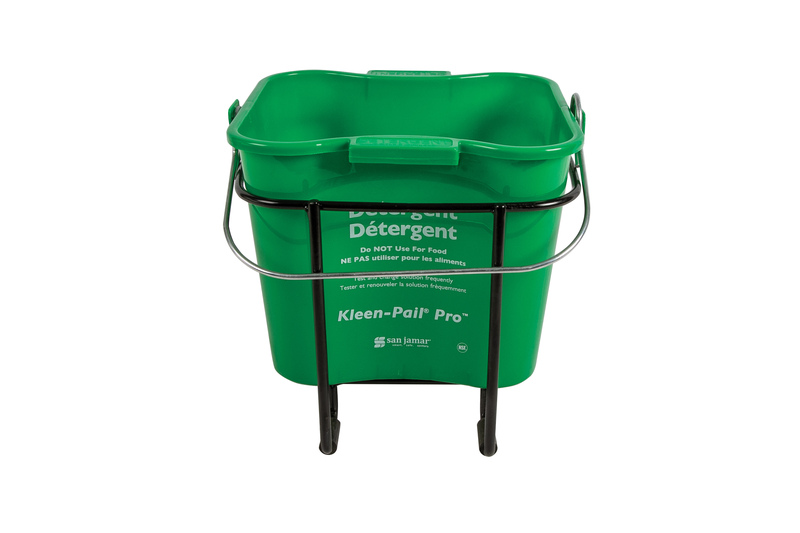 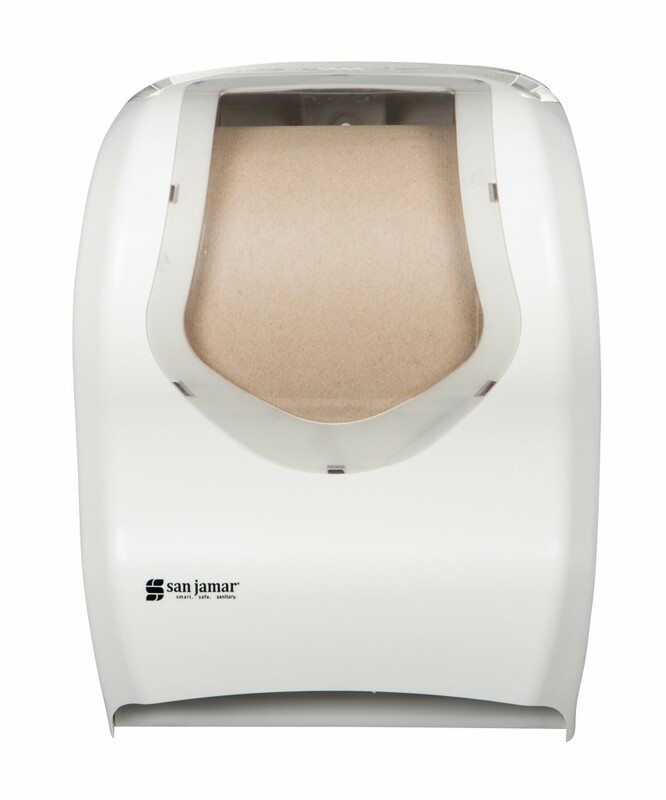 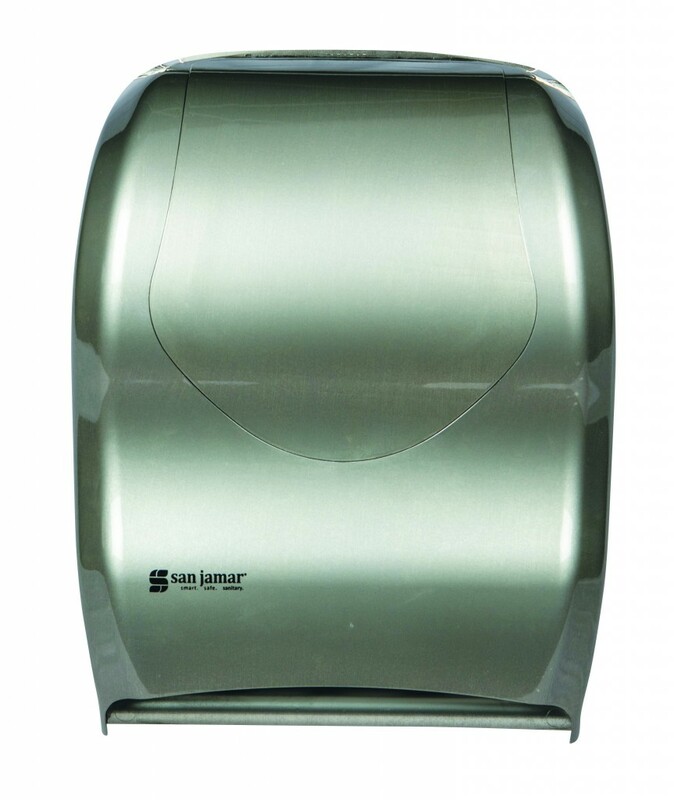 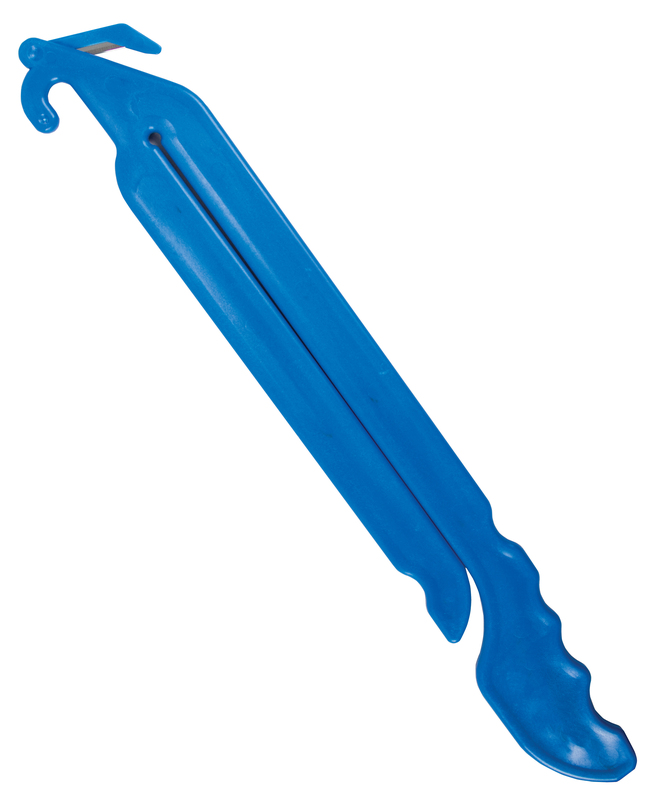 This dispenser offers tremendous versatility and reliability. 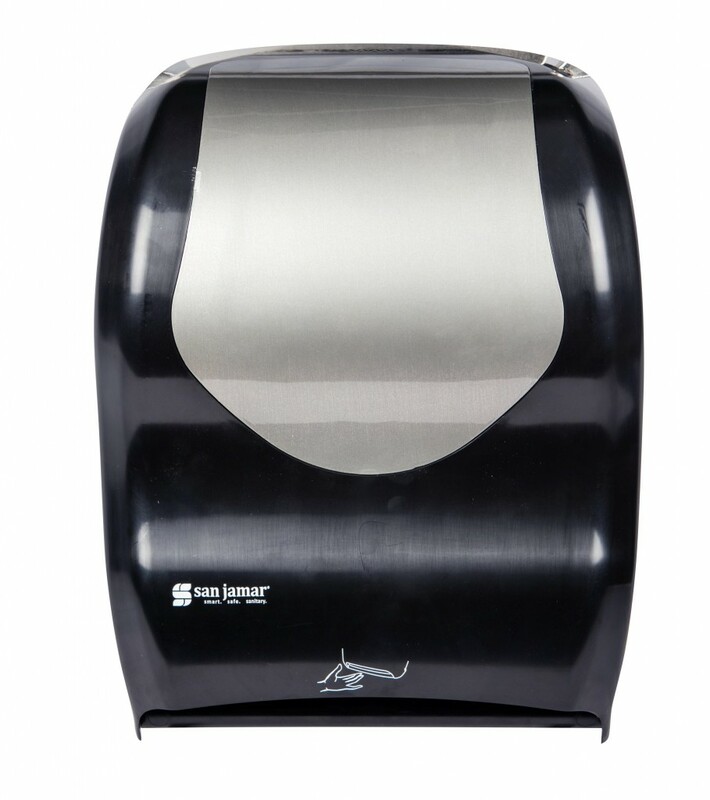 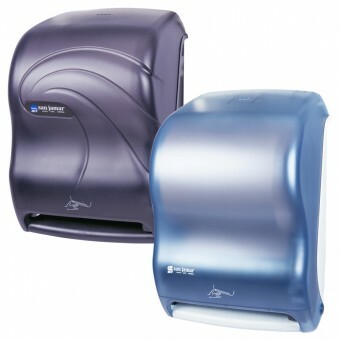 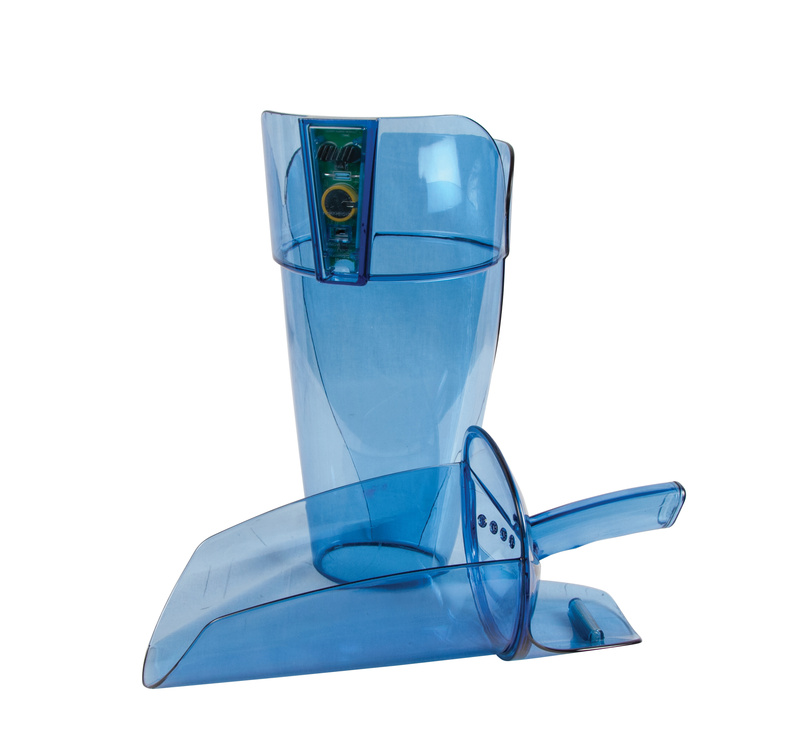 This dispenser has it all... paper length and dispensing delay adjustments, replaceable drive module, auto transfer combined with the best sensor in the industry. 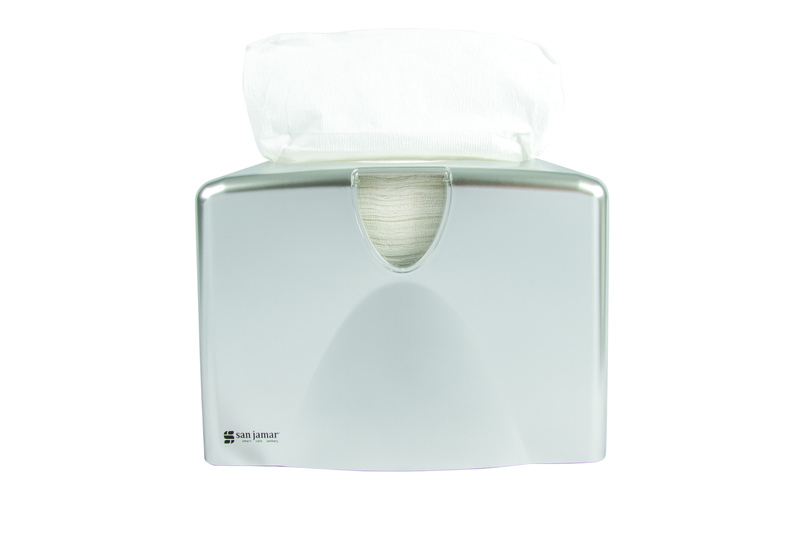 8˝ wide roll (200 mm) dia.